General purpose shipping containers have been the workhorses of the international and domestic freight industry. 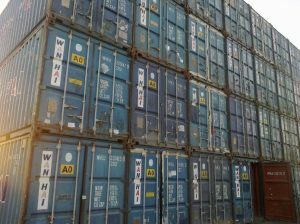 Continuous improvement to the design and construction means that today’s general purpose shipping containers are more robust and economical than ever. Available in 10′, 20′ and 40′ – standard height and high cube – general purpose shipping containers can move cargo between any part of the world which are for safe and secure domestic storage or can be modified into a site office or portable workshop. shipping container you choose will meet and exceed your expectations.